A Little 1940s Auto with a Big History. I picked up this Roamer from Canada – and there was only some of the usual poor ebay photos. However it looked to be a very early automatic from the 1940s as it shared the lugs from my 1944 manual wind example – so well worth a punt to round out my collection. There wasn’t a photo of the back in the auction – and I wasn’t expecting the patent waterproof case (which it is), although this one has no patent numbers on the back. 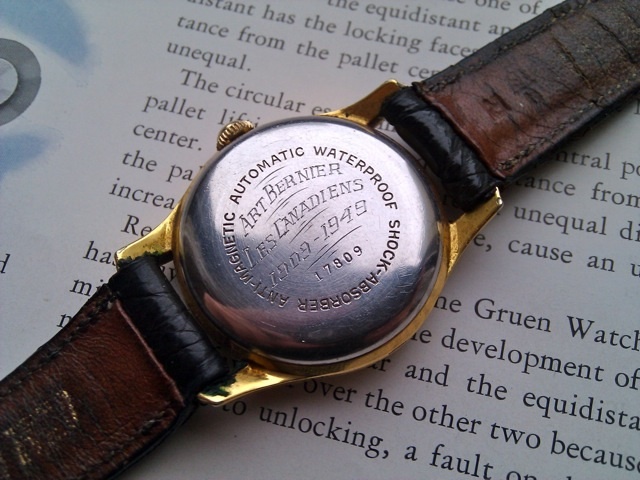 Perhaps the watch could be ordered with a blank back so that it could be inscribed. The movement inside is a Felsa 690. The real surprise was the inscription – which was not mentioned in the ebay description. Art Berniers, 1909-1949, Les Canadiens. Les Canadiens was the original name of the Montreal Canadiens Canadian ice hockey team in the National Hockey Association, as used in the 1910 season. This was the founding season of the Canadiens hockey club, which now is a franchise member of the National Hockey League. Art (Arthur) George Bernier (July 16, 1886 – May 22, 1953) was a professional ice hockey player for the Montreal Canadiens, Montreal Wanderers and Galt Professionals. He played for the Canadiens in their inaugural season of 1909–10. He was born in Kingston, Ontario. Art played intermediate hockey for Belleville in the Ontario Hockey Association in the 1903–04 season. He joined the Canadian army in 1904 and played hockey for the Kingston 14th Regiment in Senior OHA play for three seasons from 1906–1909. He joined the ‘Les Canadiens’ team for its inaugural season and played the full 12 game season. 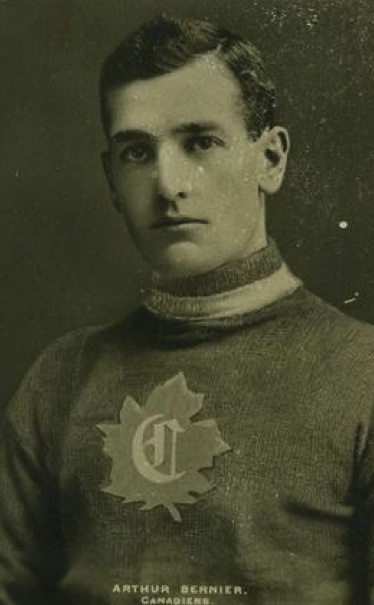 He was among the scorers in the Canadiens first-ever game, a 7-6 win against Cobalt in which his mother was hurt in the stands by a stick due to the lack of protective coverage for the viewers in attendance. He played 3 games for the Galt Professionals after the NHA season was finished. He returned to the Canadiens for the 1910–11 season and only played in 3 games. The next season he joined the Wanderers and played in 10 games, scoring 4 goals. The watch seems to be a 40th anniversary presentation (not gold) – was the whole team given these at some jubilee? Art died on the 22nd of May 1953. 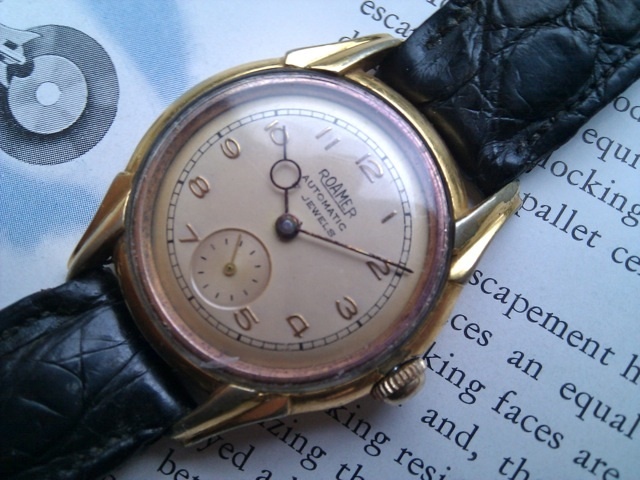 This is the sort of thing that makes watch collecting for me. This entry was posted in Automatic, Roamer by Trim. Bookmark the permalink.